Come on back to a simpler time and visit the folks at Juneberry this Christmas! Things seem peaceful at the courthouse on Christmas Eve, and Sheriff Randy Baylor thinks that is mighty fine. 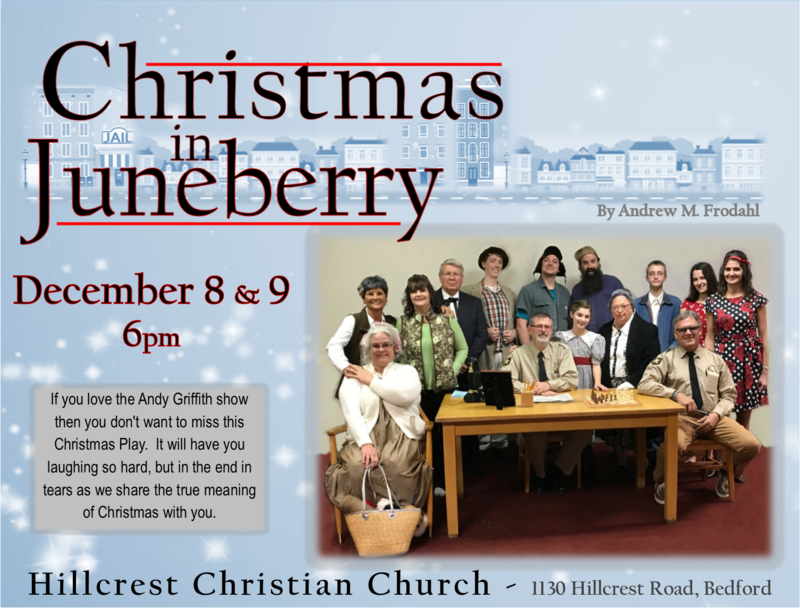 Come join the citizens of Juneberry, whom you might know – Aunt Pea, Homer Nile, Oober the taxi cab driver, Betty Lou, and more – for a hilarious Christmas Eve filled with small town antics, the true meaning of Christmas, and plenty of laughs! Running time: About 80 minutes.